This coming Sunday night/early Monday morning will bring an opportunity to see a blood red moon, and you don’t want to miss it. If you’ve heard a lot about lunar eclipses lately, it’s because we are in a cycle called a lunar tetrad. A tetrad is a series of 4 total lunar eclipses within 2 years (every 6 months). But this Sunday will bring the 4th and final lunar eclipse of the tetrad. If you miss it, there won’t be another one until 2018. A lunar eclipse occurs when the earth passes directly in between the full moon and the sun. Sunlight is refracted through the earth’s atmosphere. Because the shorter wavelengths are scattered by air molecules, only the longer wavelengths remain. This is what gives the moon it’s red color. It is the same process that gives us colorful sunsets and sunrises here on earth. In fact if the atmosphere is relatively clear at the time of the eclipse, the moon will appear a brighter red during totality. But if there are a lot of clouds or particulates in the atmosphere (such as after a volcanic eruption) the moon will be darker without as much color. 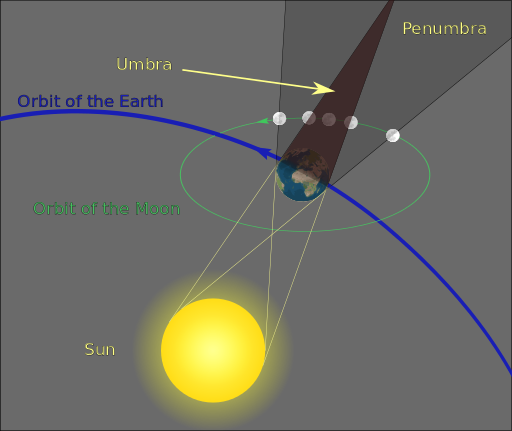 The eclipse begins when the moon enters the ‘penumbra’, which is the earth’s diffuse shadow projected out into space. The moon will get slightly darker but it will be hard to detect. 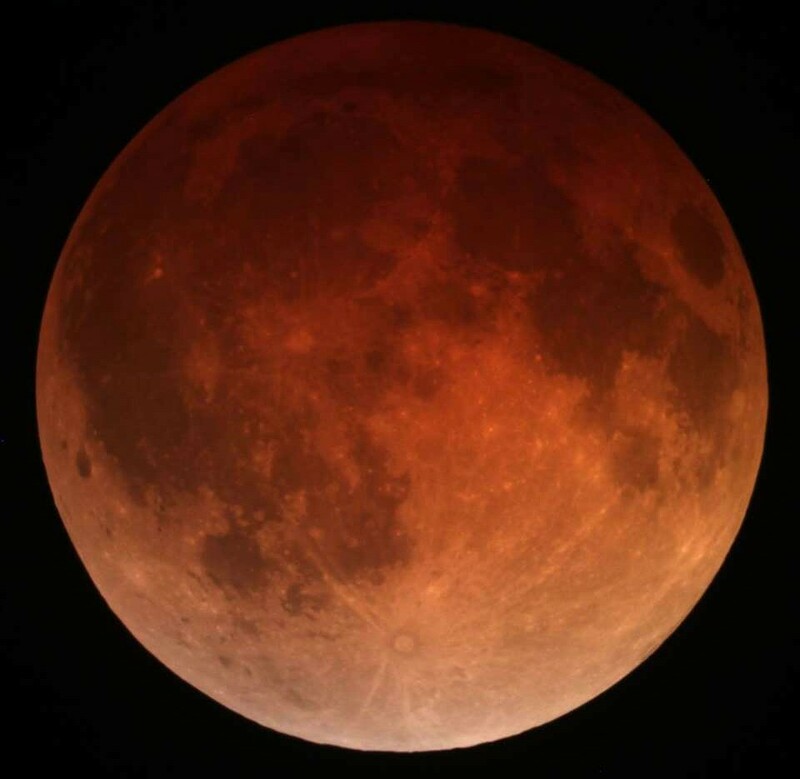 When the moon enters the umbra (the darkest part of earth’s shadow) then it will begin to turn noticeably darker and take on a red hue. Once it is completely within this umbra, this is called totality. Totality can last anywhere from a few minutes to a couple hours. Then the steps repeat in reverse as the moon moves out of earth’s shadow. 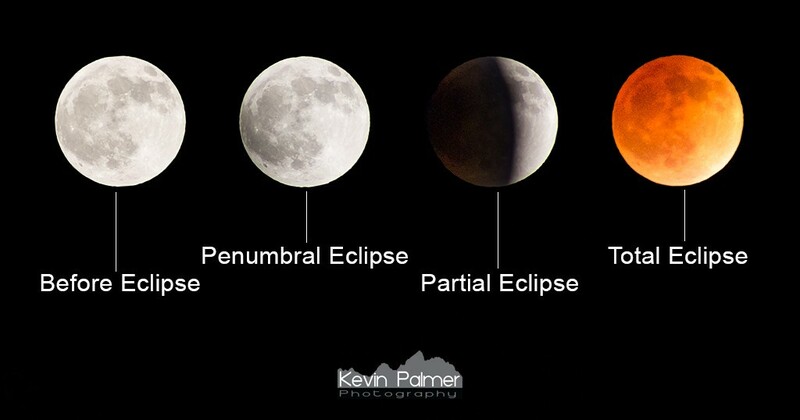 If the moon doesn’t enter totality, then it’s called a partial or a penumbral eclipse, and these aren’t as exciting to view. A total lunar eclipse can be seen from about half the world, compared to a total solar eclipse which can only be seen from within a narrow path. As mentioned above, a total lunar eclipse can only be seen from about half the world. This eclipse can be seen completely from eastern North America, all of South America, western Africa, and western Europe. Western North America, eastern Europe, and western Asia will see parts of the eclipse but not the whole thing. Eastern Asia, Oceania, and Australia will miss out entirely. Here are the times for the eclipse in UTC time. You will have to convert from UTC to your local time zone. You can find more information about the eclipse specific to your location here. 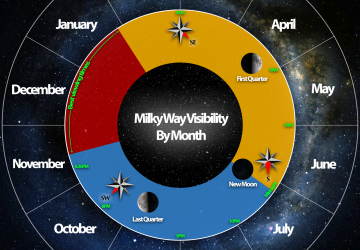 This is what you can expect to see during the different phases. Captured during the April 15th, 2014 eclipse. If you are in one of the locations listed above, the lunar eclipse can be seen anywhere the skies are clear enough. But if you want to see the full effect of the eclipse, it’s best to go somewhere where the sky is dark. Before the eclipse starts, the moon will be very bright and moonlight will drown out all the dimmer stars. 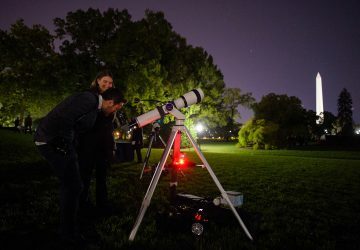 But during totality, you can watch as thousands more stars pop into view. 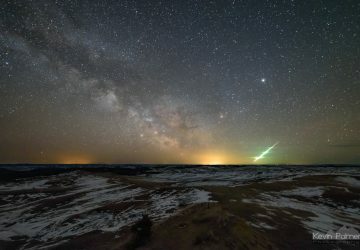 The milky way will become visible in the southwest if you are in the western hemisphere. 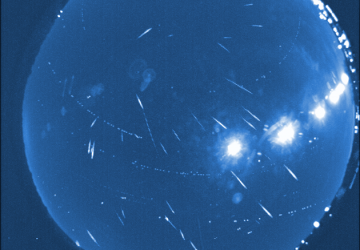 This is the only time you will ever see this many stars during a full moon. 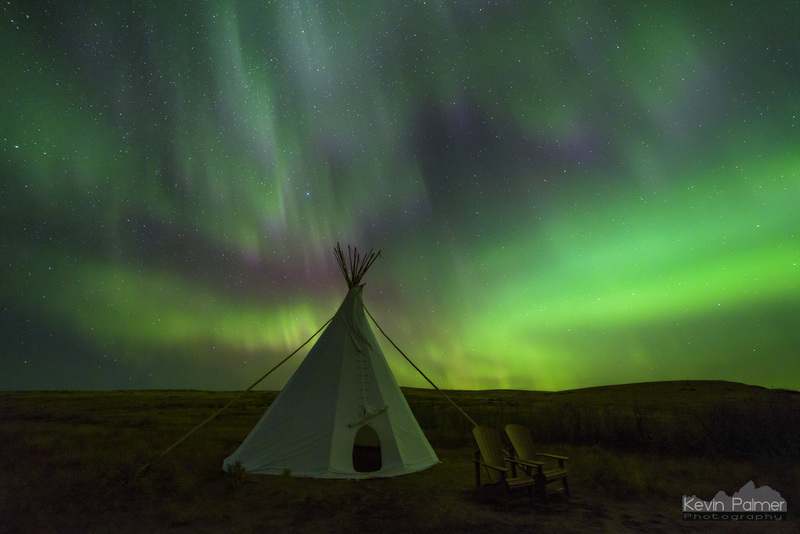 It can be surprising just how fast the moon and the rest of the sky changes. If you have a telescope or binoculars, use them to see a close up of the lunar surface. But even to the naked eye, the lunar eclipse is definitely worth watching. Use the DarkSiteFinder map to help you locate a dark site to view the eclipse. Clear skies! 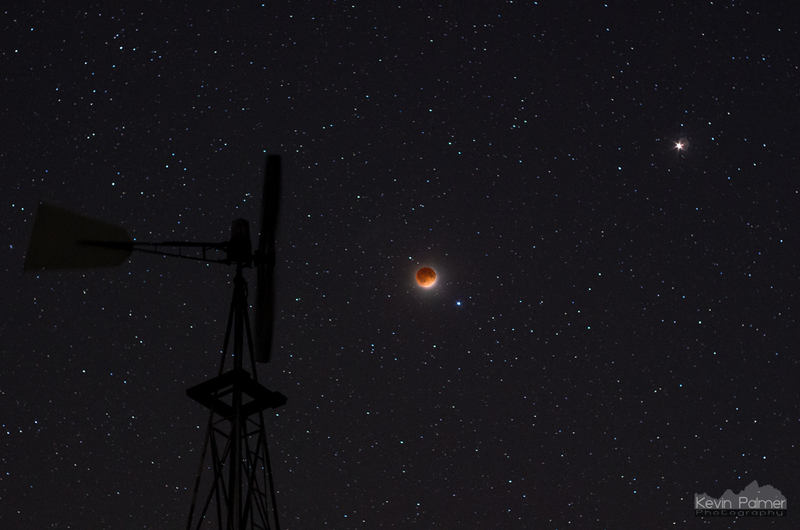 A totally eclipsed moon is seen behind a windmill. This was the first eclipse of the lunar tetrad, on April 15th 2014. Thank you for the information about the eclipse, it was very helpful and well done.